'Tis the season to feel totally overwhelmed and stretched in all directions. 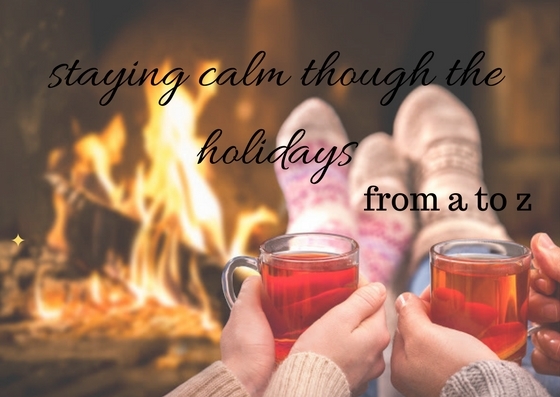 The past few years, I've been taking a stance against holiday stress. If Christmas baking doesn't happen, that's fine by me. I'll pick up something delicious from the bakery. I avoid Costco in December like the plague and do 90% of my holiday shopping online. The holidays are supposed to be about being with family and friends and celebrating wonderful things in our lives. We can't do those things if we're stressed out. Here's a list I brainstormed (with my mom actually!) of ways to keep calm and carry on this Christmas season. C - Count your blessings. D - Don't over commit. Keep a few days and nights free just for you. E - Exercise (even just a little). F - Find a way to give back to others. G - Get enough sleep. H - Have a glass of wine. I - Invite friends for an open house to cut down on individual visits. J - Joyfully add a treat for yourself when online shopping. I call it "Elf Tax". K - Kiss someone you love. L - Listen to music. Christmas-themed or not. M - Make yourself a cup of tea. N - Nourish your soul with some yoga. O - Order out for dinner. You don't need to make a feast every night. P - Prioritize. What really needs to happen? What could you let go? Q - Quilt, sew, or do another crafty activity that makes you feel good. R - Read a romance novel. S - Schedule a massage. T - Treat yourself to an adult advent calendar. 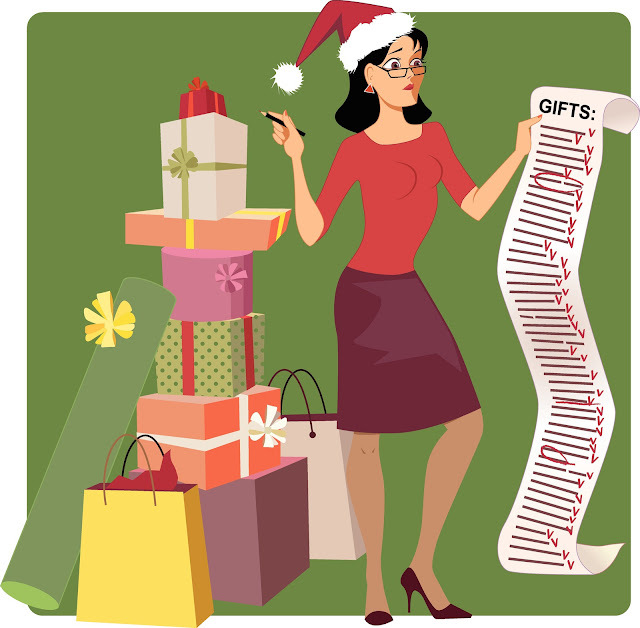 U - Use a budget for gift-buying and stick to it. V - Vent to a friend when you start to feel overwhelmed. W - Watch something you consider a guilty pleasure. X - X out the toxic people in your life. Find ways to cleverly avoid them during the holidays. Z - Zone out in the bathtub.